There's a big D70 review at DPReview. Another review may be found at photo.net (archived). Firmware B Update v1.03 The upgrade addresses the problem of image editing programs with color management functions recognizing JPEGs as having the Adobe RGB color space. There's a great explanation of custom curves, and some to download, over at Fotogenic. Great camera to use for high-speed syncing of flashes. 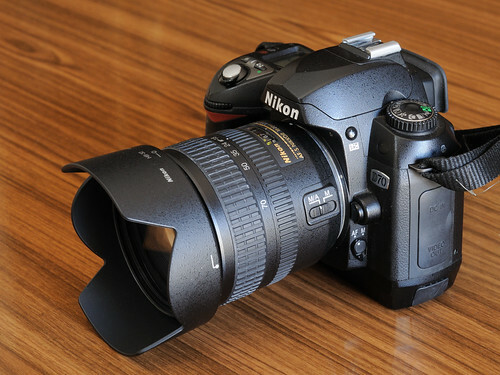 Due to it's "electronic shutter" on the CCD sensor, this camera can be used at shutter speeds up to and slightly beyond 1/1000th if the flashes durations are fast enough. This page was last edited on 15 January 2018, at 06:32.